As we get older, our teeth become discoloured due to factors such as age, drinking and eating habits, and tobacco use. This doesn’t mean we have to resign ourselves to having a lifetime of discoloured teeth. These days, teeth whitening techniques can restore teeth to their original “whiteness” and them some! How does home teeth-whitening work? What to do after your whitening treatment? 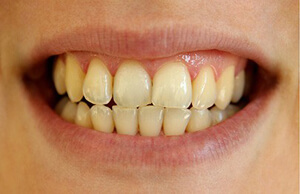 Though these are the most common reasons for having stained teeth, there are options available to minimise further discolouration, like using the right whitening techniques. There are a range of teeth whitening options available to you on the market. Hence, it is important to familiarise yourself with these options and learn what is involved and the benefits each has to offer. Most toothpastes on the market today make a claim about whitening your teeth, but how do you know if they live up to their promises? Most commonly, supermarket toothpastes are an expensive way to achieve a minor and often temporary result. More importantly, they do not offer any guidance on how suitable whitening products are (or aren’t!) for the individual buyers. These are often the most commonly seen products as you can buy them from chemists or online. Most of these products feature strips or paint-on applicators. However, though affordable initially, they are not as effective as other methods and you will need to constantly repeat the application a number of times, and hence the costs involved add up. Here at 7 Pearls Dental, we can supply you with a take-home kit that you can use at home to whiten your teeth. Our whitening kits are high-quality and safe for use (as long as you follow the instructions! ), however, a consultation with Dr Malesu will be required. Unlike over-the-counter products, the kit supplied by us at 7 Pearls Dental will be tailored for your personal needs. The whitening solution itself can also be adjusted, depending on the strength needed. We will first inspect your teeth and recommend either whitening or bleaching to address stains caused by age, wear, and tear, eating and drinking habits, smoking, mineral damage and teeth trauma. Whether we use bleaching or whitening techniques in-house, the results are immediate and effective. If you have any questions about teeth whitening and bleaching treatments, please don’t hesitate to contact 7 Pearls Dental.